What would you like to see most from a future patch? New Gameplay Content, Units, Techs, etc. The premier website on the net covering everything Age of Empires, The Rise of Rome Expansion and AoE: Definitive Edition - from playing the game to designing for it. • Our Forums are a great place to chat about the game as well as a variety of other subjects: feel free to sign up and have fun! • Download the official 1.0b and 1.0c patches here. • Download the unofficial UPatch HD here. • Practice your game with our Multiplayer Strategies. • Add Triggers and change game settings with RockNRor. • Enhance your custom scenario's with the Composite Editor. Patch 9 has been released! Posted by Epd999 on April 05th, 2019 @ 05:15 a.m.
Where did all these updates come from? A month after patch 8 came out we have been graced with another update for Age of Empires: Definitive Edition. Unlike any patches before, this patch makes small tweaks to the balance to level the playing field further between civilisations. It also includes minor improvements to AI, pathing and giving users more graphical options. Also included was a teaser for what's to come with the next update, the communities most requested feature. Maybe they've been paying attention to our most recent poll? But the most important thing is, though a bit overdue, AoE: DE is finally getting the love it deserves and I can't wait for what updates to the game the future brings. A full list of all the changes can be found here: https://www.ageofempires.com/news/age-of-empires-definitive-edition-update-9/. Let us know what you think will be included in the next update! Patch 8 out, poll roundup, and more! Posted by Fisk on March 28th, 2019 @ 7:13 p.m. I mostly has Definitive Edition in mind for this question as it is the game most likely to receive another update, but if you still didn't get it, you may pretend it's about one final official update to the original AoE about 20 years late. And don't forget to comment if you feel that I missed something important in the alternatives! What do you think of walkable farms? So as you can see, there is a whopping 70 % approval of walkable farms among our community members, so it seems that was indeed an apppraciated addition to DE. If you'd like to see an (not entirely perfect) implementation of the feature for the original game, you might want to try out The_Patriarck's UPatch-based 5thLegacy Mod, which was last updated this February. Finally, I have a word for our forum users. As you may be aware, the day of April Fools is soon to come, and with that comes HG's traditional Name Change Day. So if you wish to recieve a new nickname on our forums, your chance is now! Sign into the correct thread at Outside Discussions before the 1st of April and make your request for a new name, and may the angels smile upon you! Posted by PhatFish on February 27th, 2019 @ 08:13 a.m.
"Age of Empires: Definitive Edition Update 8 is currently in the works! It will be released soon, and will include some of the community's most-requested features, including automatic farm reseeding, mixed unit queues, dead unit decay, and more!" No word on the game/certain features being actually properly finished with this update however, so don't get your hopes up. Still it is a most welcome suprise! You may have noticed some additional advertisement here on AoEH and HG, sometimes up to the point where it's downright interfering with viewing the website normally. If this is the case for you, you might want to consider using an adblocker (especially the case on mobile devices). HG needs ads to keep running however, we are working on getting this sorted out as soon as possible, thank you for your patience. Posted by PhatFish on January 27th, 2019 @ 06:50 a.m. Normally I wouldn't go about and promoting my own stuff on the front page of AoEH, but this is an exception - this is something I'm rather proud of and want to share with everyone. Even though the Beyond the Indus expansion isn't finished yet, I wanted to release this rather sooner than later - so here you go folks. Here is my custom full soundtrack. I wrote and composed all of these tracks myself using various instruments: my keyboard, drumpad, and for most tracks I used the SoundCanvas - the same sampler Stephen Rippy used for composing the original AoERoR music. I hope you enjoy the songs as much as I did creating them. Let me know your comments and thoughts! Posted by Epd999 on January 05th, 2019 @ 08:59 a.m.
Greetings, Mario. Thanks for coming. You are currently the best AoE1, RoR & AoE: DE player in Japan and one of the strongest active players on Voobly. Because a great deal of players don't know about you, myself included, I thought it would be nice to share a bit about you with the community. I am 29 this year. What city do you live in? What do you like most about it? I live in Yokohama, or Miami, Florida. I love all the good food back here in Japan. I travel a lot between US and Japan to teach students. You said you teach students, what is your occupation? I teach students how to fly airplanes, smaller ones though. Is there anywhere you would like to travel to? What are your ideal meals for breakfast, lunch and dinner? That's a tough question, lol. Cereal/Bread/Eggs/Sausage for breakfast, curry rice for lunch and maybe some sushi for dinner. What is your favourite thing to drink? I missed the most important meal, dessert. Do you have a preference there? Pudding with caramel sauce for the win. What's your favourite song/music piece? ABBA. My favourite song from ABBA is Dancing Queen. Do you follow any sports? I used to play tennis and badminton. Ride road bikes lately. Do you have any interests other than AoE? Sometimes I enjoy playing chess. Studying math I would also say. In terms of games, I've played Diablo 2, Runescape and lots of Japanese games. Final Fantasy, Dragon Quest, Super Mario, Zelda, most of the major ones. What's your favourite Age of Empires civilization, from any of the games, and why? Choson. Because you can run over several players just by sending Legions 19. What's your favourite Age of Empires unit, from any of the games, and why? Wololo~. Gives an itch on their back. What's your favourite and your least favourite map to play on? Inland is my favourite and both islands are my least favourite. What got you into Age of Empires? Finding out about Zone.com from that TCP/IP option thing, if you know what I'm talking about. When you open up AoE > Multiplayer > Connection options, there is direct connection / TCP-IP / zone.com. Clicking on that connects you to zone.com in the old days. It's not there anymore as it's shut down. I got into it because of its multiplayer and I started by playing DM. How long have you been playing for? More than 10 years now. 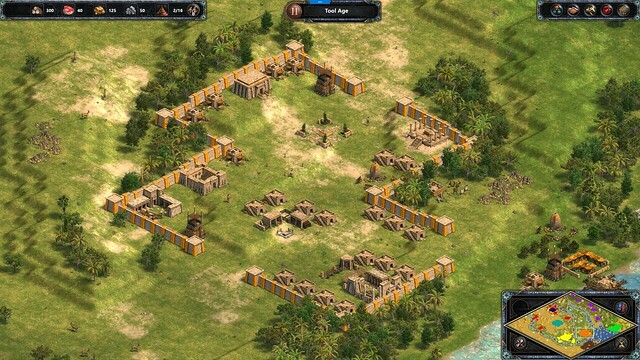 You currently play Age of Empires 1, have you played Age of Empires 2 or 3? If so, what made you stick with AoE1? I've played aoe2 somewhat and a little bit of 3. Dat big graphic though, like each building is huge lol. The other reasons maybe because it is control focused meaning the maps being too fair, each civ has less of strong characteristics. In aoe1 you have to adapt more to the maps each game because they are so different, you don't always have elephants, shore fish or gazelle close to your tc. You can garrison units in aoe2 which easily makes villagers safe, which is another reason why I don't like aoe2. Do you prefer AoE1, RoR or AoE: DE, why is that? Are you excited for AoE4? Will you play it? Not sure... Seeing how DE went, I've lost my expectation as well as appreciation from MS products. Do you fear or hate playing against any players? If so, why do you fear or hate them? I have no fear vs anyone . But I hate it when people make same mistakes after playing 100s of games. Are there any players you enjoy playing with? Can you share with us why you enjoy playing with them? I enjoy playing with the current expert DE players. Thanks for competitive games. What would you say your play style is? Aggressive. "Your offense is your strongest defense" - Super0dfx. Peon rushing. Which is what you would call a villager rush. In stone age, you abandon economy to send in all your villagers to attack theirs hitting two players by chance can slow down your opponent and thus give your mid an opportunity to go big. Any civs work with the strategy except that Sumerian has higher hp to do it even better. It is Japanese ksg. It is nasty but strong rush. What's your least favourite strategy to play against? No such thing, I have all the counter-measurements I need. Do you see yourself as a 1v1 player or a team player? Team game comprises of 1v1s. So I am both team/1v1 player. What do you think the future of AoE1 is? Elimination. Players will stop playing it. But that's what's been said for the past 10 years. The only chance left is that MS puts the game on Steam. Tell us a bit about your usernames, _xDrMario, EliSty, super9dfx, DoctoralMario and Whale RoR. What are the meanings behind them? Nothing too interesting... I liked the game Doctor Mario for _xDrMario and DoctoralMario. EliSty=Elite Style. Super9dfx comes from Super0dfx who was once the strongest AoE1 player who was the pioneer of many strategies and Whale evokes big and strong. Who are the top five strongest AoE1, RoR and AoE: DE players at the moment? http://aoederate.ddo.jp/ is a rating system for DE. AoE/RoR is myself, Puma, dont_choke, Ezzo and Polarducky.The Vietnamese and Chinese players don't play with us, so I don't have a clue. Top 5 AoE/RoR/AoE: DE players of all-time? _xDrMario, super0dfx, _Idle_Puma_, _7eddy_ and chinalaoniao. Can't decide the order, each has strengths. What tournament settings would you like to see in the future? DM choson war in DE. You were runner-up against IronSteel in the AoE: DE trial cup and have recently entered the AoE: DE 2v2 Master of Rome tournament, will you continue to enter AoE: DE tournaments in the future? What result do you expect to get in the Masters of Rome tournament? I am with SoiGia for tournament, we will be the champs. Are there any teams you are looking forward to playing against? Players I haven't encountered before. Like TLC. Do you enjoy AoE: DE? Is it what you expected? Could you share your thoughts on its state at the moment? Game itself is uber crap, to be honest and to be on the fair side. With that said, I enjoy playing with known players/friends and major motivation is pursuing how far I can go by the rating daiz made. Lag, drop, synch, corrupt AI, pathfinding, matchmaking, no rating system, lobby system, unit balance, etc. Can't name all. Windows 10 exclusive the biggest thing. Graphics are hard to see, can't distinguish shallows from land, unit corpses remain forever, units get stuck way too much. Can't distinguish normal elephants and armored elephants, they look almost identical. Same goes for villager/axeman/slinger. Ambiguous colors too. Is this an interview or a message to dev team? What do you think should be done to improve AoE: DE? Put it up on steam!!! That and have a dev team that will constantly improve and update it. Do you think the balance changes in AoE: DE were needed? What do you agree with and what do you think you would've done differently? Legions too strong, elephants too weak. Elephants are supposed to be anti units vs legions. Whereas in fact, even legions without bonuses overpower elephants easily. Fix unit pathfinding so the elephants actually attack the Legions instead of going around and around. What is your favourite setting to play? Do you stream? If so, where can we watch you play? I stream all the time. https://gaming.youtube.com/channel/UCdXTGyIx9ecZi0v-_WuSBbw. My youtube channel. Why should someone watch your stream, what does it have to offer? The No1 player you can learn from! Anyone can contact me through voobly/discord/youtube comments. Do you prefer playing RM or DM? Would you like to enter Vietnamese tournaments in the future? What is your dream team for AoE1, RoR & AoE: DE? What 8 players would you like to see compete with each other in a 1v1 tournament? SoiGia, PilotElf, Memo, Chim Se Di Nang, ShenLong, Lee_Vu and myself. What's your most interesting AoE experience? Hmm... Switching from DM to RM. It's a totally different game. I was elite at DM but a complete noob at RM. I started RM after zone died, took me years to get from noob to inter then from inter to expert. But the knowledge that comes from DM also helps with learning RM. DM is about speed and control while RM is 70% strategy and 30% speed+control. In the last tournament I participated in. My quarterfinal game against Lee_Vu, I was almost dead but won the game with artifacts. Where do you see yourself compared to Vietnamese and Chinese AoE professional players? They play different settings... Can't compare myself to them. I'd say I'd do pretty well if we shared the same settings. Are there any other strong players in Japan, who are they? If you could play anyone in a showmatch who would it be and what would you play? I wanna play vs the top players. SoiGia, CSDN, Shenlong, Memo, Puma, PilotElf. And of course RM inland. 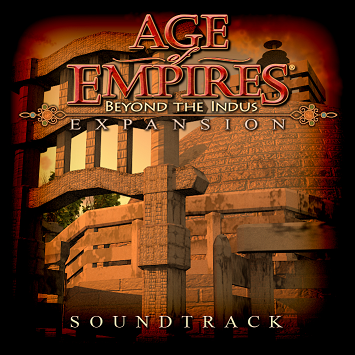 When do you think was AoE1's prime? Why? Zone.com days. Few hundred players online at once. If you could add any new civ, unit or technology to the game what would it be and what function would it have? A Gate to be put between walls. Whenever your ally wants to leave your base, they have to tell you to open wall. Then after that you or he has to close it. What's the point of doing all this? Are there any players you would like me to interview? Can be from any AoE game. What question would you ask them? Thank you so much for taking the time to interview. Do you have any passing questions or thoughts, for me, the community or anyone in particular? Posted by Fisk on December 25th, 2018 @ 05:08 a.m.
On behalf of the AoEH Staff team, I would like to wish you all a Merry Christmas and a Happy New Year! This year our gift to you is... a new poll! This one was requested by my Co-mod EPD999, who would like to know your opinion on walkable farms, such as those introduced in Definitive Edition. Posted by PhatFish on December 09th, 2018 @ 06:11 a.m.
"The Anunnaki, gods of the sky and earth, sent forth a great flood to wash away the cities of Sumer. In time, these waters receded and the people once again populated the earth. From the blackened soil arose new cities: Kish, Uruk, Lagash, and Eridu. As King of Kish, defend against Akkadian raids, defeat your rivals, and build a Mesopotamian empire." You can check out all of his DE campaigns and older works for the original game here! Posted by PhatFish on September 12th, 2018 @ 07:37 a.m.
You might be happy to hear that the annoying chat bug that plagued Definitive Edition has now been fixed. The latest build bares the version number 14215. No changelog has been released, so I assume only the chat bug was fixed and nothing else has been updated. You should be able to properly download the update without errors from the Windows Store this time. In other news, we now have actual new categories for Definitive Edition in the Granary, thanks to Pecunia who used a magic spell to conjure them up. The homepage menu has also been updated with direct links. Feel free to submit your custom DE works to us! Posted by Fisk on September 01st, 2018 @ 03:48 a.m.
Phatfish said I wasn't contributing anything, so now I'm responsible for this thing. Last time's question was your Favorite cheat unit? Feel confused about what some of them do? Then don't forget to check out our list of cheats in the Academy. Posted by PhatFish on August 27th, 2018 @ 11:39 a.m. The Tavern, the place where our community members hang out, has had a fresh lick of paint! New beverages and meals are available (it's on the house for a limited time! ), and join the three word story game! © 1997–2018 HeavenGames. All Rights Reserved. Please read our Disclaimer & Privacy Statement. Best viewed in resolutions between 800x600 or bigger in IE, Firefox, Opera or Chrome.